Maha El Meseery and Orland Hoeber’s recently published the article ‘Geo-Coordinated Parallel Coordinated (GCPC): A Case Study of Environmental Data Analysis'. The article discusses an enhanced visualization approach that can support the exploitation and analysis of research datasets. The main goal of this tool is to support interactive exploration, analytical reasoning, and knowledge discovery. 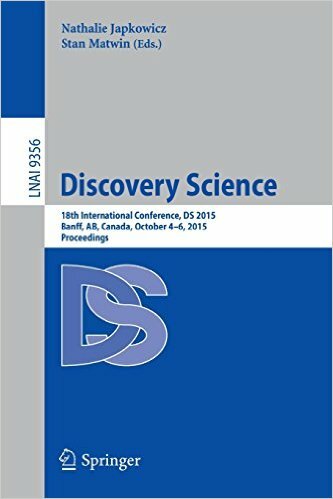 The article was published as part of the Discovery Science - Proceedings from the 18th International Conference, DS 2015, Banff, AB, Canada, October 4-6, 2015.